When I was young I must admit, I didn’t like apples much – only the really juicy ones like Granny Smiths. Now I find I appreciate them for their lovely taste and their ability to supply fibre and control my appetite. My favourite is now a Russet. Apples have a lot more to offer than we realise. Research towards helping people with Alzheimer’s suggests that even just drinking apple juice could improve the memory. Being a Pomologist doesn’t sound so bad after all. Many fruit juices are loaded with sugar so you want to avoid them. Apple juice from Cawston Press is different. 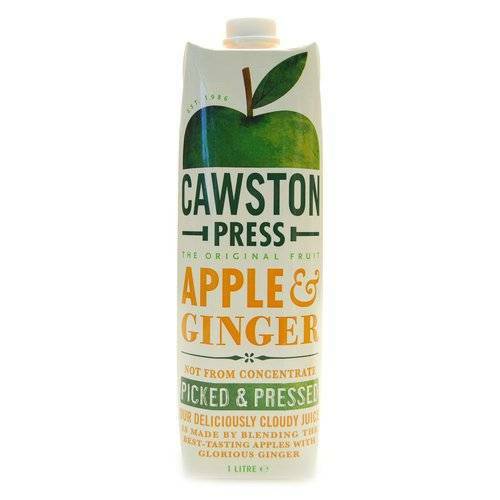 Cawston Press squeeze 10 apples into every large carton. The apples are picked ripe and pressed immediately. What you get is a delicious and pure, 100% natural, cloudy apple juice which is bursting with healthy goodness. The refreshing taste not only cleanses your system but helps protect you against damaging cholesterol and rheumatism. That’s why Cawston won 3 Great Taste Awards this year. 25% of an apple is air. That’s why they always float! Apples originate from the Tien Shan mountains in Central Asia. As with everything that goes rusty over time, the oxidation of our cells is damaging and leads to the early onset of diseases particularly associated with old age. Antioxidants – in various things from raisins to cacoa – reduce the effects of oxidisation and repair the damage as well, which helps you to have a longer life. So there you go, even humble raisins can be superfoods nowadays. Don’t forget, if you need to ask us questions about antioxidants or anything else you can always contact us by Twitter, email or phone 08710871 6611. 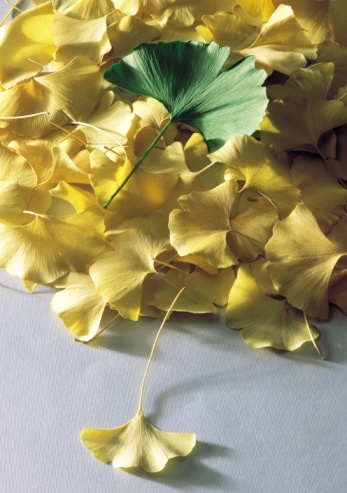 Ginkgo biloba is the world’s oldest type of tree (the Maidenhair tree). Now humans are harvesting these 1000 year old trees to look after them in old age. The leaves are used for impaired memory, poor concentration and circulation, particularly to hands and feet. However, the trees are not natural to the UK, which means you won’t find it readily available in your diet. To gain the benefits of ginkgo biloba the best advice is for you to take it in tablet form. After all to get anywhere near 1000 years old, you’re going to need some help aren’t you? A course of biloba supplements keeps your blood vessels elastic and helps prevent blood clotting. Their powerful antioxidant property can keep your mind and body operating efficiently in old age. In fact a British study of biloba products revealed that Bio-Biloba has the highest antioxidant activity of all. Biloba is also good for treating depression, Alzheimer’s, glaucoma, vertigo and vitiligo. If you want an aid in fighting the free-radicals which lead to deterioration in later years it’s worth investing in nature’s oldest remedy. 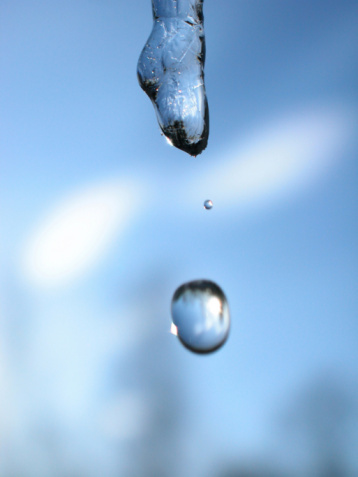 Water – how pure do you want to be? If you’re one of those people who manages to drink 2 litres of water a day then I’m jealous. My attempt to keep a bottle of water at my desk always fails a few days into the mission. Guilt feelings about how bad my liver’s going to be in old age don’t have much impact either. Buying bottled water would probably help but let’s face it, it’s bad for the environment and my friends just laugh at the poncyness of it all (yes, I’m male), plus they’ve got a point, tap water’s cheaper and may well be just as clean. The one thing which does work is keeping a jug of tap water in the fridge. I like that cool clean feel to the water – it makes me feel (almost) pure. However, if you live in an area where the water is hard (ie. very mineral tasting and it furs up your kettle) then you may not like the taste. Devotees of tea and coffee will promise that purer water produces a higher quality beverage and I’ve heard that steaming food with pure water increases the nutritional value of the food further. So it’s worth investing in a water filter if you are interested in enjoying a clean natural taste. I’ve been looking at some Brita water jugs which reduce limescale and chlorine and removes lead and copper from the water. I won’t scare you with a list of the chemicals which you can find in tap water. The amount is too small to have any impact on your health, though scientists still query the long term effect on your body. In fact UK tap water is said to be among the cleanest in the world. But, if you’re pregnant or elderly, there are some reports about the possible detriment of drinking water straight from the tap, research has linked tap water to birth defects and alzheimers. NB. Always make sure you have enough minerals in your diet (the main source is from food), they help decrease the chance of heart disease when you’re older – but don’t worry about me. I’m going to have enough trouble looking after my liver. These are very significant areas of health and in addition to this list, exciting new research is showing that Vitamin K2 may be beneficial for Alzheimer’s disease, a variety of cancers, varicose veins, and skin aging. That is some line up indeed. In general one of Vitamin K’s job in our bodies is to put the calcium in the right places and keep it from being deposited in the wrong places so helping to avoid bone spurs and calcification of soft tissues. It also helps prevent calcification of arteries which contributes to ageing. It is only relatively recently that the role of Vitamin K in the balance of calcium within our bodies has been appreciated, whereas the other balancing nutrients of Vitamin D3 and Magnesium have been recognised for much longer. Vitamin K is a fat soluble compound which is important for blood coagulation generally found in plants and in the ‘good bacteria’ of our bodies. In normal situations our bodies have no trouble storing Vitamin K, but antibiotics and other drugs can hinder it’s production. This is a very brief summary of a complex issue which can be read more fully here or here. However the good news I have for you is that Hawaiian Spirulina Pacifica provides approximately 15 mcg / 3gm daily serving or 19% of the Daily Recommended Value of Vitamin K2, and 75 mcg / 3gm daily serving of Vitamin K (including all forms) or 94% of the Daily Recommended Value of Vitamin K based on analytical results from an independent laboratory.